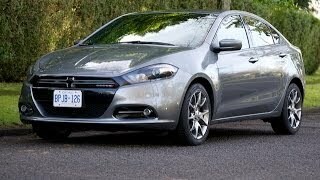 The new variant of the Dodge Dart that is all set to reach showrooms later this year will be customizable to a large extent thanks to the availability of over 150 Mopar accessories and even performance tuning parts that customers can handpick. 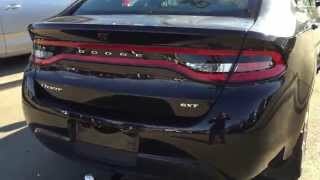 Dodge and Mopar executives are excited about the prospect and while they believe that the Dart doesn’t need any modifications to make a name for itself, they are committed to providing ultimate satisfaction to customers and hence are offering the customizable parts. The accessories that Mopar is offering range from simple aesthetic benefits to huge changes in performance. Customers will have the option of buying a scooped hood that is fabricated entirely from carbon fiber that will add a sporty look to the car. Braking power can be increased with the help of modified rotors and an aluminum grill can be installed for a mean outlook. 18-inch wheels are being offered that come with either white spokes or black ones to match the carbon fiber accessories on sale. The front and the rear of the car can be modified simultaneously and they can be made to look similar or entirely different. There is the option of a matte black rear air diffuser and chrome slides on the front bumper area while a chin spoiler on the front adds to the mean look of the car. The insides can be tweaked as well with a pedal kit that gives the pedals a good, bright finish. In addition, users can install 3G capability in the car with the ability to remotely access devices within a certain range. This can be coupled with wireless charging inside the car so drivers will never have to worry about dead batteries. Mopar’s accessories have taken a turn for the hi-tech this time and they hold genuine promise. 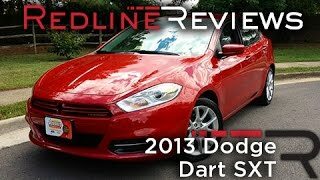 January 10, 2012 ,Auburn Hills, Mich. -	When the all-new 2013 Dodge Dart arrives in showrooms later this year, consumers will have a full menu of more than 150 Mopar® accessories and performance parts from which to choose. Performance Styled Hood: Carbon fiber scooped hood, designed to give the vehicle an aggressive and sporty appearance. Performance Braking Upgrade: Upgraded calipers, rotors and performance pads provide increased braking power. Unique Grille: Chrome aluminum, replaces production grille below the bumper to provide a unique appearance. Grille Cross-hatch Insert: Carbon fiber-style finish, attaches to Dodge cross hatch over grille area, perfect for enhancing the “tuner” image. 18-inch Wheels: Unique Mopar design, polished spokes and black-painted pockets. Rear-air Diffuser: Matte Black, attaches to rear fascia to provide a unique look to the rear of the vehicle. Designed to coordinate with Chin Spoiler. Front Fascia Appliqué: Chrome-plated appliqué slides over front/center bumper area to provide a bright front-end appearance. Front Chin Spoiler: Matte Black, attaches to front fascia to give more aggressive look to the front end. Side Sills: Matte Black, attaches to side rocker panels to provide a sportier appearance. Designed to coordinate with Front Chin Spoiler and Rear-air Diffuser to provide a unique appearance. Rear Deck Lid Spoiler: Matte Black, attaches to rear deck lid for a sporty appearance. Chrome Fuel Door: Made of chrome aluminum, replaces production fuel door. Coordinates with Chrome Mirror Covers and stainless steel B-pillar appliqué. Chrome Mirror Cover: Chrome-plated, replaces production mirror cover. B-Pillar Appliqué: Polished stainless steel, attaches to b-pillar area to enhance appearance. Pedal Kit: Bright finish, attaches to gas and brake pedals to enhance driver’s foot well appearance. Industry-first Wireless Charging: With a higher demand on power from phones and other battery-powered devices, this new wireless charging system allows driver to set electronic devices in a specified charging zone and charge without wires. This is accomplished by creating a virtually invisible charging zone in the vehicle instrument panel or center stack. Energy is then transferred from the charging pad to the device battery, utilizing a compatible device-specific case. Industry-first Wi-Fi: Allows owners to utilize electronic devices as far as 150 feet from the vehicle. Each passenger may separately access the Web on the go. In-vehicle router receives 3G broadband Internet, allowing access to social media, maps, e-mail, online games, music and more. Works with Wi-Fi enabled device. Subscription required and sold separately. Industry-first Electronic Vehicle Tracking System (EVTS): Mopar’s system is powered by Guidepoint Systems, the leader in GPS-enabled stolen-vehicle recovery systems. Unlike other vehicle-tracking systems, the Mopar EVTS offers nationwide tracking without a subscription. 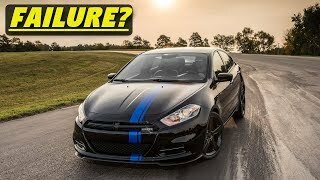 Mopar parts are unique in that they are engineered with the same teams that create factory-authorized vehicle specifications for Chrysler Group and Fiat S.p.A. vehicles — a direct connection that no other aftermarket parts company can provide. Mopar (a simple contraction of the words MOtor and PARts) was trademarked for a line of antifreeze products in 1937. The Mopar brand made its mark in the 1960s — the muscle-car era. The Chrysler Corporation built race-ready Dodge and Plymouth “package cars” equipped with special high-performance parts. Mopar carried a line of “special parts” for super-stock drag racers and developed its racing parts division called Mopar Performance Parts to enhance speed and handling for both road and racing use.